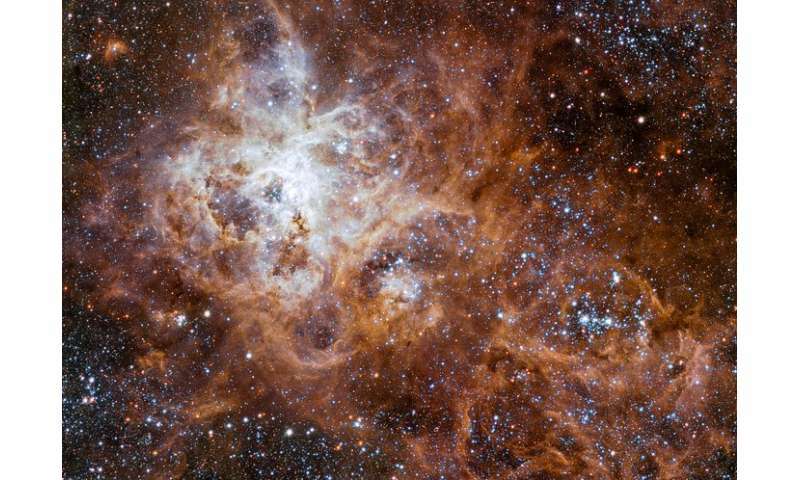 A study of intense starbursts—events in distant galaxies in which stars are generated hundreds or thousands of times faster than in our Milky Way—is changing researchers' ideas about cosmic history. The findings will help scientists understand how galaxies in the early Universe evolve into those we see today. 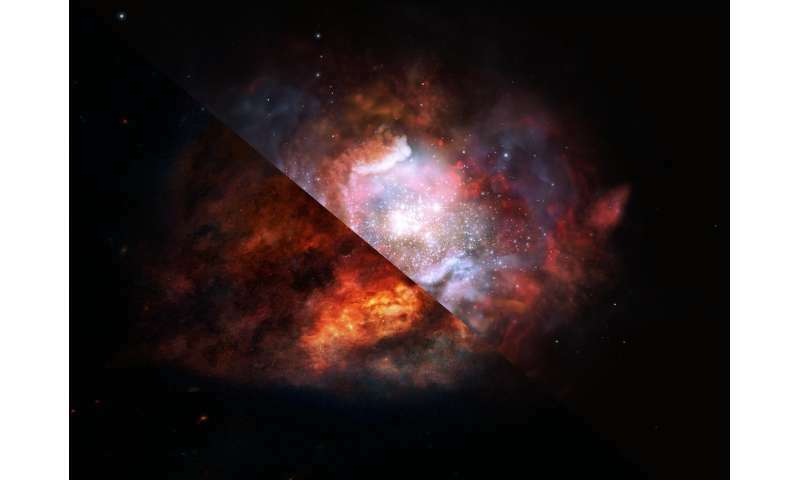 Dr. Zhi-Yu Zhang, of the University of Edinburgh's School of Physics and Astronomy, who led the study, said: "Traditional telescopes are of limited use when studying dusty starburst galaxies. We reached our results using a powerful new radio telescope, hunting for traces of chemical elements from past events. For astronomers, these are like fossils. The results challenge classical ideas about the formation of stars in galaxies across cosmic time." 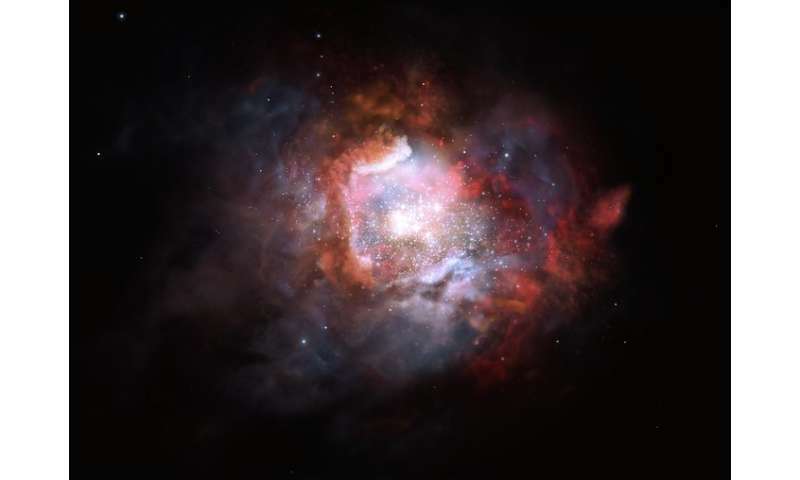 Professor Rob Ivison, of the University of Edinburgh's School of Physics and Astronomy and ESO, said: "Our findings lead us to question our understanding of cosmic history. Astronomers building models of the Universe must now go back to the drawing board, with yet more sophistication required."